Heavy rain soaked the North Bay late Wednesday night and early Thursday morning and pushed south into the greater Bay Area in time for the morning commute, weather forecasters said. After pelting Marin, Napa and Sonoma counties overnight, prompting a flash flood warning for those areas until 3 a.m. and a flood advisory in Solano County until 2:45 p.m., the storm slowly began making its way toward the Peninsula, East Bay and South Bay early Thursday. Temperatures will be in the 50s to start the morning, and by the afternoon, there's a chance the rain could linger over the South Bay, forecasters said. Rain totals on average for lower elevations will be 0.50 to 1.25 inches and 1-3 inches above 1,000 feet. The heaviest rain will spread across the Santa Cruz Mountains and into the South Bay around sunrise, the National Weather Service said. The South Bay, which usually misses out on the heavy rain, got hit hard with this storm as many places saw up to an inch of rain. In the Rock Springs neighborhood of San Jose, which was flooded earlier this year when Coyote Creek overflowed its banks during storms, residents were not ready for more rain. Steady rain was falling in the burned out Silverado area of Napa on Wednesday night, saturating the ground as well as large dead trees that were in danger of losing branches or toppling over altogether. Mudslides also were a concern. Thom Jensen reports. Flood victim Hao Nguyen and her visiting granddaughter, Trang Lieng, were back home, just in time. "The owner fixed the house, and she's very glad we can move back in before the rain," Lieng said. The storm also made life even more miserable for the homeless in San Jose, where CHAM Ministries handed out blankets, tents and water at a Felipe Road encampment. "There are a lot of people, right here, struggling," pastor Scott Wagers said. "You know, the guys are desperate for tarps right now because they're trying to keep their stuff dry." In the North Bay, rainfall rates over coastal Sonoma and Marin counties were up to half an inch per hour Wednesday evening, posing the possibility of mudslides, downed trees and flooding in the areas burned out by wildfires last month. Twenty-four rainfall totals as of 4 a.m. Thursday had already exceeded two inches in Petaluma and Guerneville. Lafayette recorded 1.79 inches during that time frame, Santa Rosa registered 1.39 inches of rain, Pacifica recorded 1.31 inches and Oakland logged 1.26 inches. Those numbers will increase as the storm makes its way out of the region. 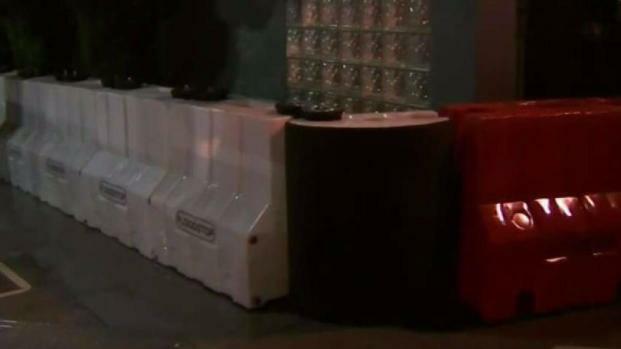 San Francisco are taking precautions by adding barriers to prevent serious flooding. Pete Suratos reports. Deluges of rain also prompted the closures of some roadways in San Francisco. 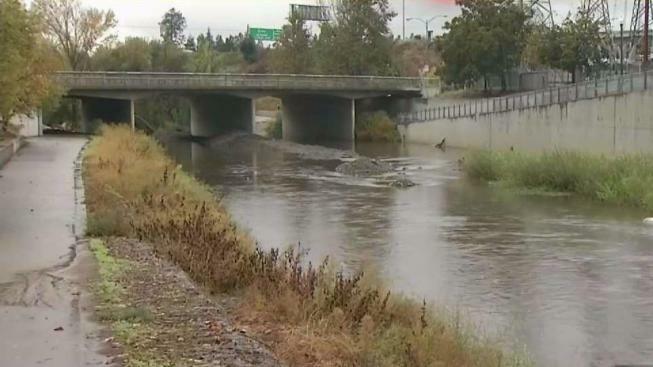 The connector ramp to northbound Highway 101 was shut down due to flooding, according to the California Highway Patrol. Southbound lanes of the Great Highway were also forced to close as a result of flooding. On the road to the Sierra Nevada, about 1-2 feet of snow was expected above 7,000 feet, the weather service said. Chains were required on Interstate 80 over Donner Summit on the way to the Reno-Tahoe region. 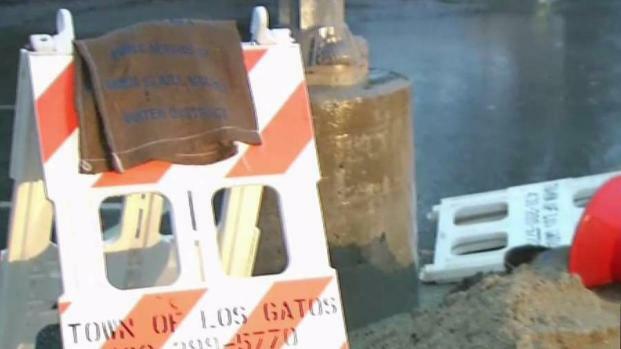 Today in the Bay's Kris Sanchez is live in Los Gatos with what you can do to prepare for any potential flood problems. Drying weather returns Friday and Saturday, forecasters said. NBC Bay Area's Robert Handa contributed to this report.